As I'd mentioned in an earlier post, the recent rains have had the garden growing like mad. Keeping up before things get ugly has been a fun challenge. 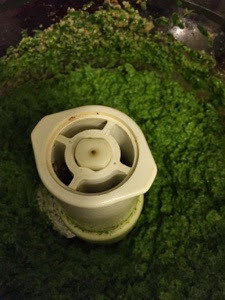 Soup was one way to enjoy the bounty, and saved a lot of mustard greens, but why not make some pesto with the wealth of arugula? Done. Details follow. I started with four-ish packed cups of spicy arugula. That's about a third of what is growing out there right now. After a good washing it went into the food processor along with a half cup of walnuts I'd toasted in a skillet over medium heat until fragrant, five cloves of roasted garlic, two cloves of smashed garlic, and extra virgin olive oil. I'd tell you how much olive oil, but I just added more as needed so I'm not exactly sure. You'll figure it out. It ended well, but I realized too late that in my rush to make this pesto I hadn't taken the big stems off of some of the leaves. The result was a fiercely bitter pesto. I'd needed a fix. First I tried adding some salt in small pinches. It was better, but the bitter notes were still present. Next I tried some different fat in the form of clarified butter which I pulsed into the pesto. Better ... but not there yet. Finally I arrived at some unfiltered honey, adding a little at a time. 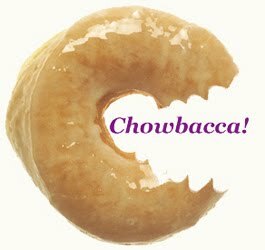 The results were delicious. Why, you may be asking, did I use soba noodles? 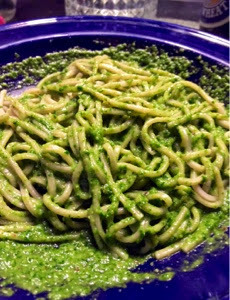 Well, of the six-or-so dry noodles in my pantry at the time the organic, whole wheat noodles just felt right to pair with the spicy, earthy pesto. It worked. 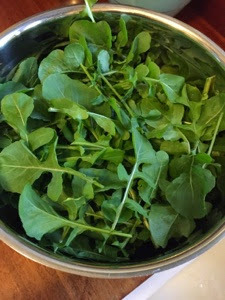 I should mention that Chef Michael Chiarello recommends blanching the arugula, but I like the flavor of arugula so I decided to go raw. I may try blanching the next time out. There's plenty of arugula out there still. Today, however, I'm thinking of a pizza for the rest of this batch of pesto.